The technology behind our wood-grained fiberglass entry doors is a patented process that authentically replicates the look and feel of real wood grains. 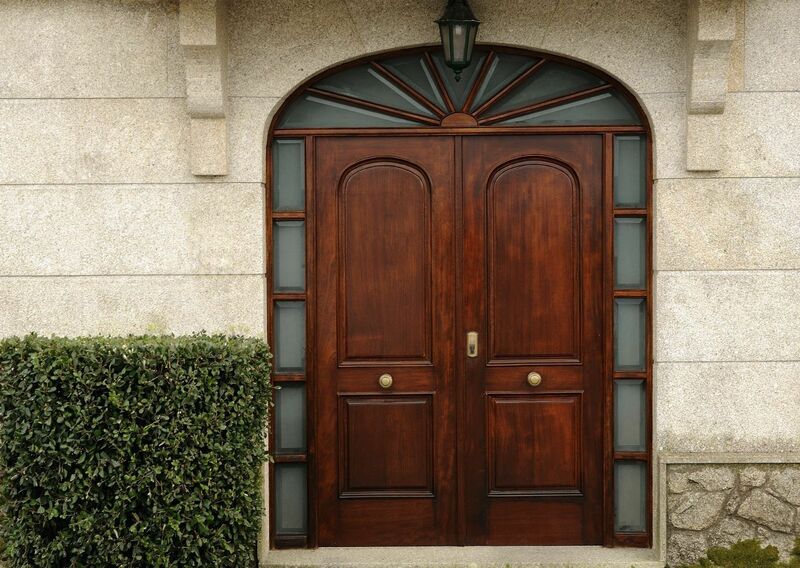 Rustic fiberglass entry doors, made from rich Cherry grain, are designed to complement American Southwest or Mediterranean-inspired architecture. This distinctive Craftsman-style door design offers the look and feel of wood with the lasting durability and energy efficiency benefits of fiberglass. A smooth surface, distinctive stile and rail lines and highly defined panel embossments are the hallmarks of smooth fiberglass doors. Unlike wood or steel doors, they won't crack, split, dent or rust. Make a statement with decorative glass, then match sidelites, transoms and coordinating garage door windows to enhance the total curb appeal of your home.